It was keen to underline that not all of them might make it to manufacturing, but those on display were fully working prototypes with hardware and software stable enough that the company let a reporter test them out. Sony's Xperia Projector on show at IFA in Berlin on September 1, 2016. This is an Android-based computer with a short-throw projector in a single box. 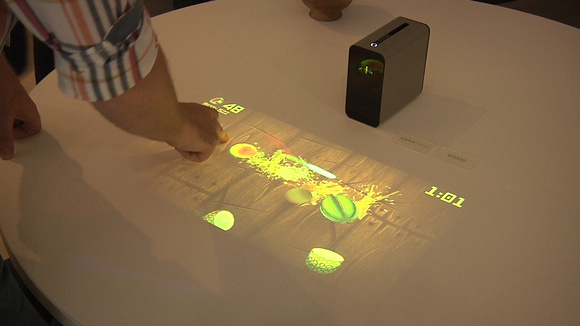 The projector sends the screen image onto a nearby tabletop or wall and users can interact with it by using their fingers on the projected image. An infrared sensor in the device watches the fingers and figures out where they are pressing on the projected screen. I played a couple of games on it, browsed though the Android home screen, watched a YouTube video and didn't notice any lag in response or glitches. Because it runs Android, there's a mass of software just waiting to be downloaded and used. Sony's Xperia Ear on show at IFA in Berlin on September 1, 2016. 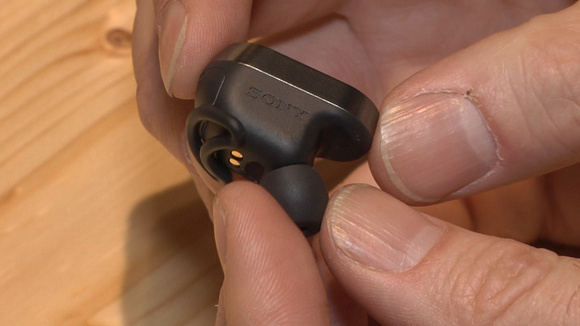 At first glance, the Xperia Ear could easily be mistaken for a Bluetooth earpiece but this is one gadget you don't have to talk to. Sensors in the earpiece can detect if you're nodding or shaking your head so, when a computerized voice asks you if you want to answer a call, you make the appropriate head movement. It's a neat trick, although it's hard to see head movements being the only way you could interact with something, unless you want to work through endless yes/no questions. In all likelihood, this can be integrated with a voice recognition system. 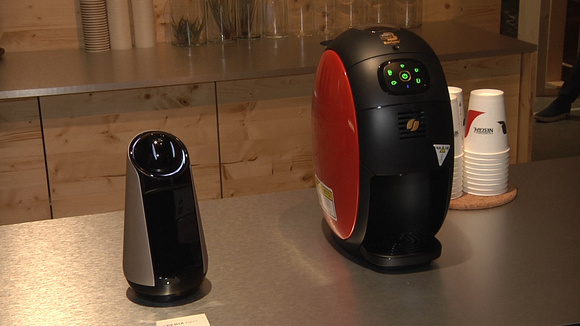 Sony's Xperia Agent (left) sits next to a coffee maker at IFA in Berlin on September 1, 2016. 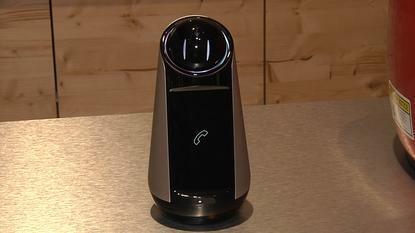 Perhaps the most high-tech of the prototypes was the Xperia Agent, a half-robot version of the intelligent agent in systems like Amazon's Echo. You can ask the Xperia Agent to place a phone call, manage your calendar and take care of communications with connected home gadgets, all through voice control. At IFA, Sony had it hooked up to a Bluetooth-equipped coffee maker, so getting a fresh brew was as simple as giving it the instruction.